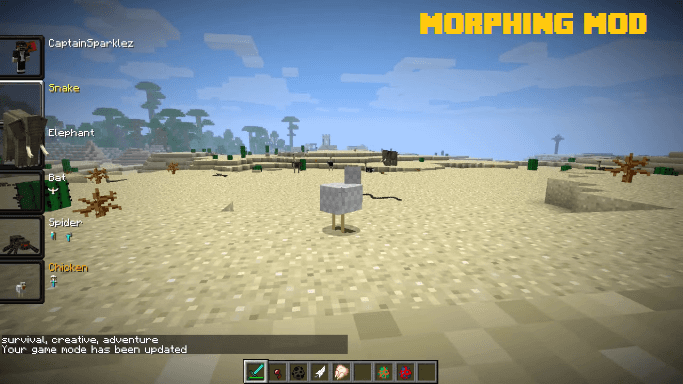 Morphing Mod is a game mod for Minecraft which gives players the ability to transform and cycle through any of the mobs they have killed. This means you can transform into a creeper, a zombie, an enderman or any other mobs in the game after you have killed them. 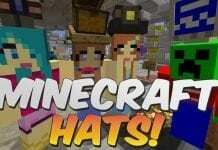 This mod adds extra gameplay as it gives you the chance to play as a premium mob. 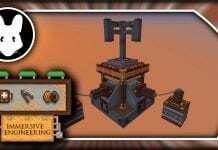 Try this mod out for extra fun and perks. If you love this Mod and want to have more in the future, you can show your love to ICHUN. You can check his Youtube Channel to support him. You can check awesome PVP packs over here. To make sure you get the best game experience possible we strongly recommend using PvP Texture Pack and any mods in combination with Optifine. 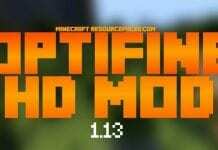 For the best PvP experience, we recommend you use Minecraft version 1.8 or 1.7. 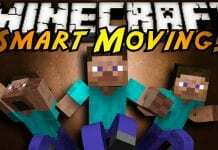 How to install Morphing Mod: Morph into any mob in Minecraft? 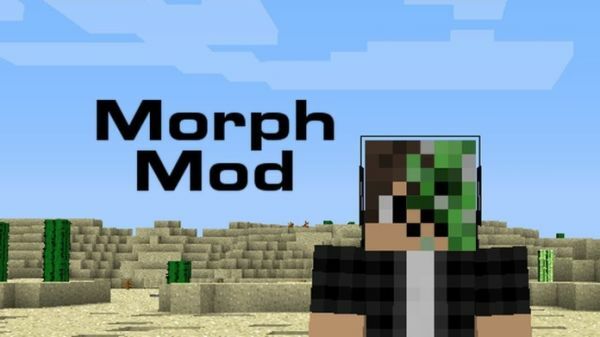 If you don’t know how to install the Morphing Mod: Morph into any mob in Minecraft just look below, we’ll provide you with a short tutorial there. This installation guide should work with all Minecraft versions. To see the Official Download Links just scroll down.